When you stay at a hotel for two weeks, mysteries develop. 1. Why does it sometimes smell like fish in the hallway? I don't mean a gentle fish smell, either. It's the fish smell that rode a motorcycle for five days in full leathers in 90 degree weather and didn't bathe. It's the durian of fish. Why would anyone want to eat that? 2. 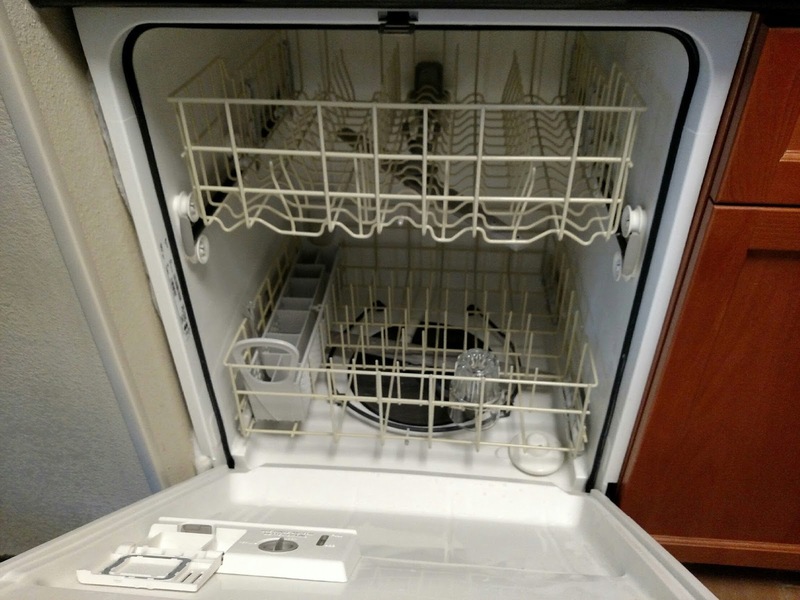 Why is the dishwasher running? We haven't used one piece of non-plastic silverware or one non-plastic glass the entire time we've been here, so why did the maid turn on the dishwasher? What's in there? That's a small drinking glass and a fork. Yesterday, it was turned on again and washing--you guessed it--those same two items. 3. Why is the right-hand dryer less effective than the left-hand dryer in the laundry room? This is part of hotel lore, and anyone you see in the laundry room will tell you immediately. It's passed down from generation to generation, apparently.